So, the great news is that we are almost ready to paint the living room. Here is Chris standing in front of the sealed up sliding doors (as in covered with plastic sheets). Here is a wall of paint samples that I insisted on and that have driven Chris nuts since I did them. 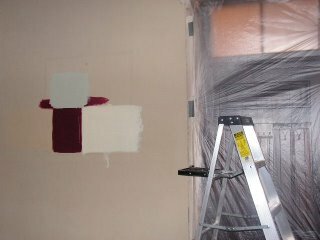 We are going with the color to the left of the red, and we will cover the fireplace projection with the red. Then for the nifty moldings on top we will go with a gold (not pictured). The green light color on top of the red might be what we do in the grand hall (OK, the only hall). I am also keen on the light color to the right too. And I hate to bring up an old topic (issue). But here is a close up of the do-dad on the side of the fireplace. Only this time I opened it up. So, do you know what this is or does? 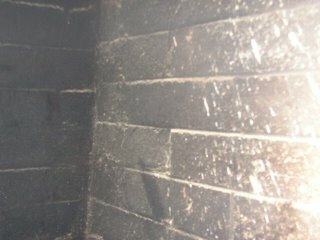 And here is what is on the inside of the fireplace where the do-dad is. See, it does not go through to the inside. Now we (cough) just have to finish the re-plastering and then off to painting we go! My guess is that it's a vent. 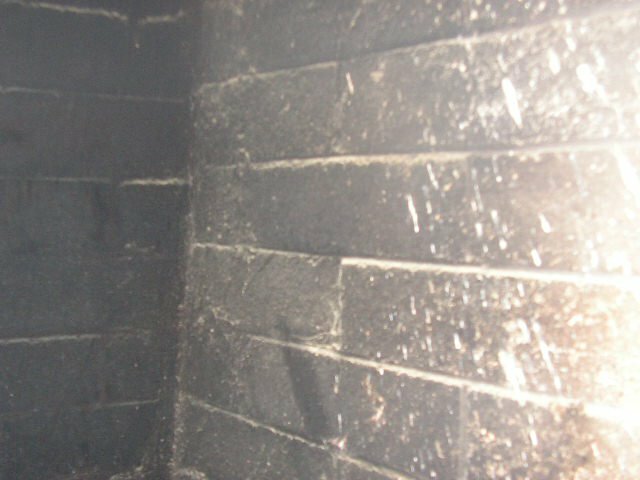 Try measuring the inside and outside dimensions of the firebox. 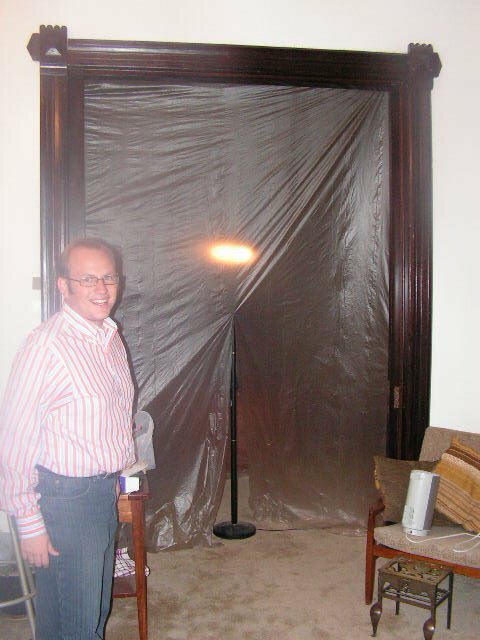 It may seem like there is a hollow cavity between the two walls. 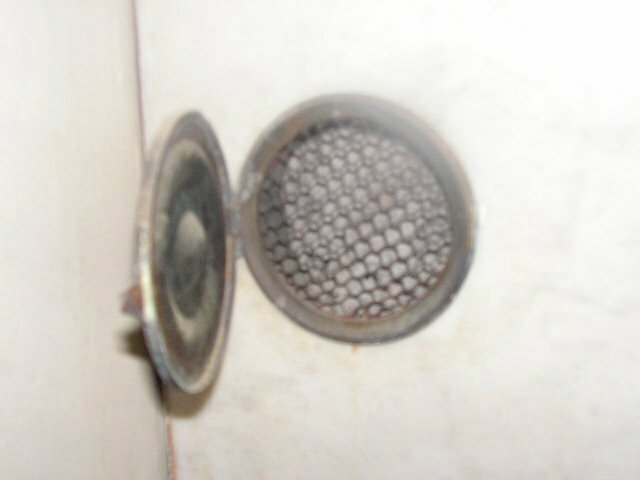 The idea would be that heat would transfer from the firebox to the vent system allowing hot air to circulate in the house without smoke. Probably the safest bet would be to ask a reputable chimney sweep. hmmm, living in a desert... that heating this is something I never considerd! I will check it out!